Ernest Hemingway returned from the Spanish Civil War in the 1930s, a time when fishermen were landing giant bluefin tuna on rod and reel in the shallow waters off Nova Scotia. But they found it nearly impossible to land giants or marlin in the deep waters off Bimini before sharks “apple-cored” them. Hooking the fish wasn’t the problem; it was hauling them up to find nothing more than a head, tail and backbone. The sharks were like piranhas, feasting on the hooked fish before the anglers could get them to the boat. Hemingway’s solution, albeit often more macho than effective, was to shoot at the sharks with a Tommy gun or pistol. A smiling Hemingway and his three sons in Bimini after a rare four-marlin day. Although his method was, at best, quirky and, at worst, dangerous — Hemingway once shot himself through both calves while trying to gaff a shark — it’s also true that anglers who have a significant impact on the sport tend to try various techniques. They’re the innovators. And although the on-board gunplay didn’t stand the test of time, Hemingway’s other insights helped countless anglers who flocked to the Bahamas during this heyday. After all, catching a big bluefin tuna is no small feat with modern tackle, and it was far more difficult in the 1930s. 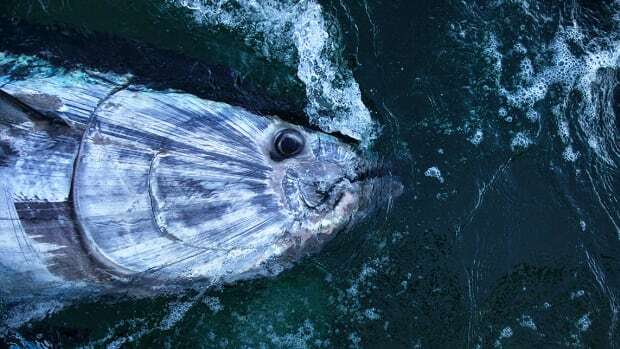 “Boats then lacked the speed to run one down, and the way the [reel] drag jerked around, there was no way to keep constant pressure on a fish,” Capt. Roy Bosche, who worked for Hemingway as a captain during the summer of 1937, told me about 30 years ago. Linen line made matters worse. “It would break if you locked down too tight,” Bosche said. Such creativity is perhaps one reason Hemingway, to this day, is regarded as one of big-game fishing’s greatest, most ardent practitioners, a man who not only wrote about the sport but also had a significant role in shaping it. And although his exploits as a war reporter, novelist, Nobel laureate, hunter and fisherman are well documented, some aspects of his angling life are lesser known. He was an astute amateur naturalist whose library was said to contain more than 150 books on marine science. He also was an architect of big-game fishing and fighting techniques that contributed to advances in tackle and sportfishing boats. When he wasn’t firing off pistol rounds at sharks, he served as a vice president of the International Game Fish Association. So how did this young trout fisherman from northern Michigan fall under the sway of the Gulf Stream and giant tuna, marlin, sailfish and tarpon? Perhaps an epiphany of sorts occurred in the early 1920s as he watched, mesmerized, as 300-pound tuna romped through schools of sardines outside Spain’s Port of Vigo. Hemingway believed in fighting big fish fast, not giving them a chance to rest and regain strength.“You don’t have to kill a horse to break him,” he wrote. It wasn’t his best prose, to be sure — remember, Hemingway’s seminal first novel, The Sun Also Rises, was still four years off — but the passage certainly spoke to his competitive mano-a-mano philosophy, regardless of whether the setting was a battlefield, a bullring or the cockpit of his beloved sportfisherman, Pilar. “In our family … all sporting forms of fishing were a sort of religion,” Hemingway’s eldest son, Jack, wrote in the introduction to Hemingway on Fishing. 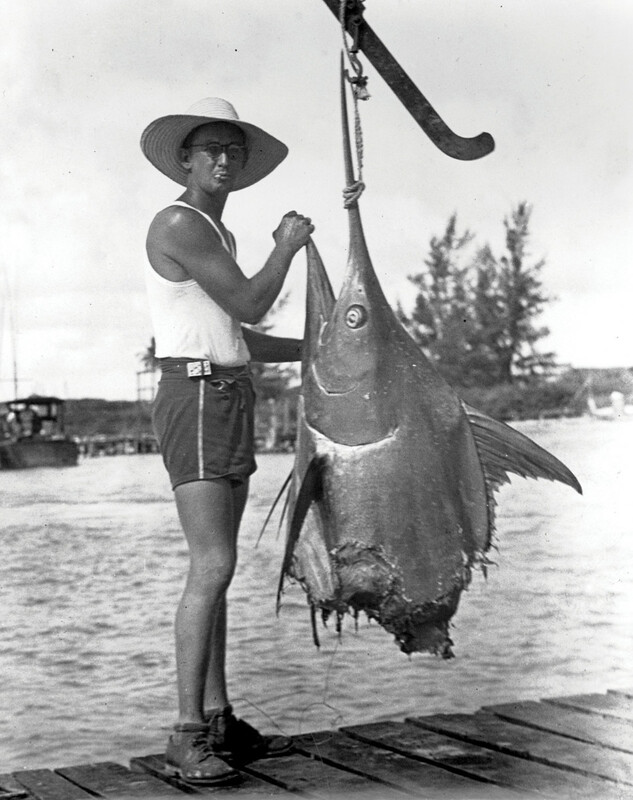 The seeds of Hemingway’s passion for big-game fishing might have been planted at Port of Vigo, but they didn’t take root until novelist John Dos Passos suggested he fish Key West, where Hemingway and his second wife, Pauline Pfeiffer, first visited in 1928. 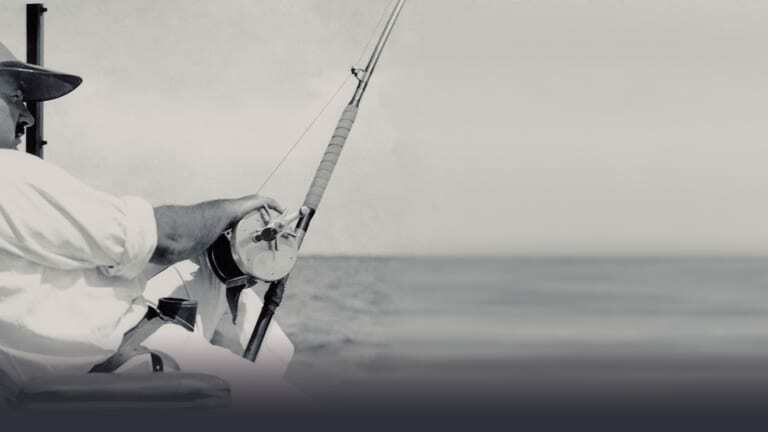 After moving to Key West, Hemingway immersed himself in the sport, befriending locals who made their living from fishing, and learning about tackle and techniques. 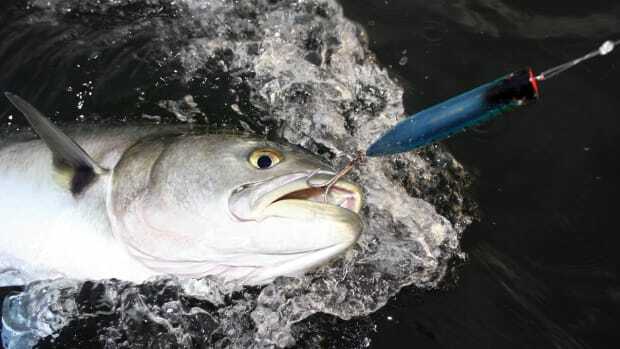 He scoured the Keys highway bridges and ferry docks for grouper and snapper. After a day of writing he’d embark on nocturnal tarpon forays in Key West Harbor. He chased sailfish in the Dry Tortugas with Bahamian Capt. Eddie Saunders, Albert “Bread” Pinder and locals such as Joe Russell, a charter captain, rumrunner and cigar maker who owned Sloppy Joe’s, the bar that Hemingway helped make famous. On a fishing trip in 1934, the author took the rod from a fading Jesuit priest aboard Pilar — the novelist’s 38-foot Wheeler Playmate — and landed a 119½-pound Atlantic sailfish, a Florida record at the time. At Sloppy Joe’s, Hemingway heard stories about tangling with marlin in Cuba. La Habana beckoned. In two months fishing Cuba in 1932, Hemingway and Cuban-born Carlos Gutierrez caught 19 marlin and three sails aboard Russell’s charter boat, Anita, which had smuggled copious amounts of liquor into Key West during Prohibition. Hemingway fished Anita again in 1933 and caught 54 marlin off Cuba, including a 468-pounder, the largest caught on a rod and reel at the time. Greene owned (and has since sold) two of Hemingway’s 15/0 Fin Nor reels, which he acquired from the family of the author’s longtime mate Gregorio Fuentes, who died in 2002 at age 104. Hemingway bought his legendary Wheeler Playmate in 1934, and from then on he did nearly all of his fishing from the 38-footer. Built of cedar planking over black oak frames, Pilar cost $7,500 new and became a platform for both adventure and fishing innovation. Hemingway fitted out Pilar with outriggers, an upper steering station, a cutdown transom and a roller for landing large fish, a big ice chest, a fishbox and more. She was customized with four 75-gallon fuel tanks for a range of 500 miles, which allowed Hemingway to fish offshore. Pilar was equipped with a 40-hp trolling engine (separate from the main 75-hp Chrysler Crown), bamboo outriggers, a fish well, a fishbox and a large ice chest. 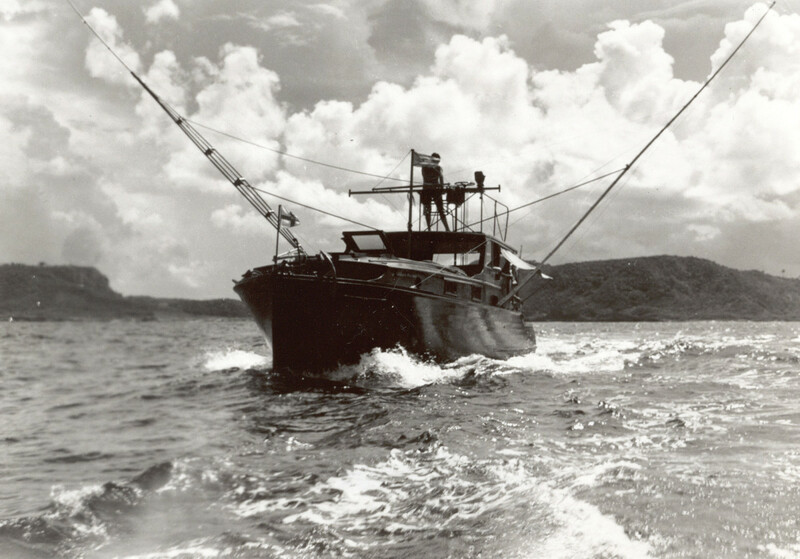 She had a cut-down transom fitted with a wooden roller for making it easier to land large fish — credit that to Hemingway’s fishing buddy Russell, who reportedly used a similar transom roller to slide booze aboard Anita. She was later fitted with a ladder, which allowed Hemingway to climb to the cabin top, where stanchions and rails made of 2-inch galvanized pipe were installed to create what by today’s standards would be a primitive flybridge. The steering system, complete with a Ford Model T wheel, was mechanically attached to the main steering system below, which allowed the boat to be helmed from the flybridge. Named, in part, after a shrine in Spain, Pilar was also the nickname Hemingway gave Pfeiffer, as well as the one he bestowed on Pablo’s strong wife in For Whom the Bell Tolls. Hemingway decried the lack of adequate tackle in those days, but with advances such as the “unbreakable” rod, 72-thread line and two-handled reels, he also worried that tackle and techniques were becoming unsportsmanlike. Inexperienced anglers fought big fish by paying out yards of heavy line, the weight of which beat down the fish. Hemingway wanted the battle between a large fish and the angler to be a fair fight. 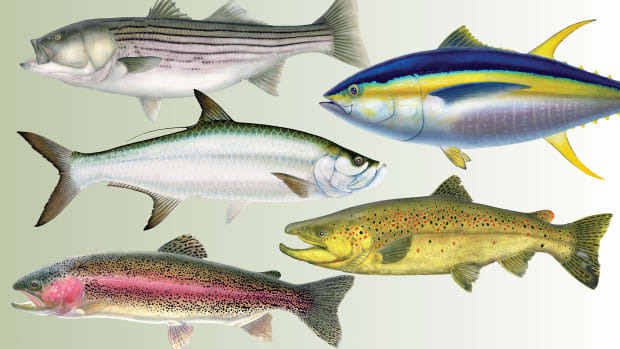 If big-game fishing was to remain a contest of strength and endurance between an angler and an oversized fish, “these new fool-proofing improvements in tackle should not be abused,” he wrote in the introduction to S. Kip Farrington’s Atlantic Game Fishing. “There is tackle made now, and there are fishing guides expert in ways of cheating with it, by which anybody who can walk up three flights of stairs, carrying a quart bottle of milk in each hand, can catch gamefish over 500 pounds without even having to sweat much,” Hemingway wrote in “The Great Blue River” in Holiday magazine. 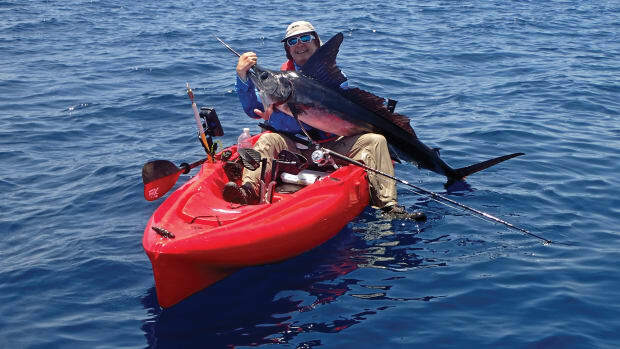 Would Mike Strater’s marlin have been a world record had it not been “apple-cored” by sharks? Possibly. Hemingway was emphatic about matching tackle to the target species. Standing 6 feet tall, weighing 222 pounds and with the graceful moves of an athlete, he transformed big-game fishing from a passive to an active sport. He pioneered the technique of pumping fish — raising and lowering the rod tip and reeling in the slack, using his back and legs to pressure and defeat the fish — which in part gave rise to such innovations as the fighting chair with a footrest and bucket harness, the spreader outrigger, the heavy-duty reel with a smooth braking system, and roller tips and guides. 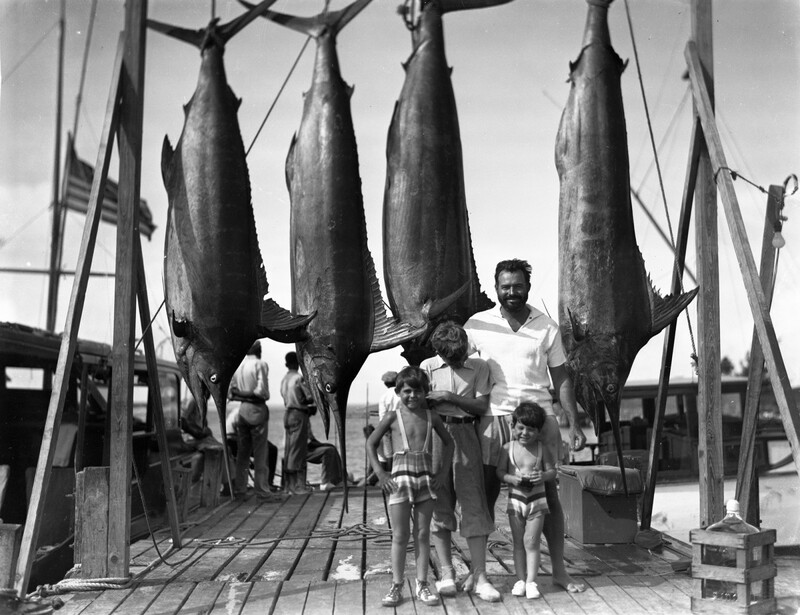 Hemingway proved his technique successful on May 21, 1935, when at Bimini he landed the first unmutilated giant tuna on a rod and reel. “I changed the whole system there at Bimini,” Hemingway boasted in the spring of 1936 after coaching protégé Tommy Shevlin on how to fight big fish. In news clippings, Shevlin credits his then world-record 636-pound blue marlin to fishing “Hemingway style.” It set off a revolution. Standing on the dock, Bosche grabbed a line as Pilar came in with Hemingway’s prized tuna. “Old Ernest had this big grin smeared across his face,” Bosche recalled. “Everybody was congratulating him. The Bimini Band was playing something about Mr. Ernest’s big catch. No surprise, we all got drunk that night.” It was Bosche’s first face-to-face with Hemingway. The next day Hemingway caught a bigger tuna, a 381-pounder. Big-game pioneer Michael Lerner and Hemingway had similar concerns about fishing techniques and the ethics of angling. Hemingway and others wrote Lerner, suggesting a universal set of angling rules to govern the sport. Those conversations, in part, led Lerner, who had been discussing the idea of a worldwide sportfishing association, to found the International Game Fish Association in 1939. An early member, Hemingway was appointed a vice president in 1940, a position he held until his death in 1961. 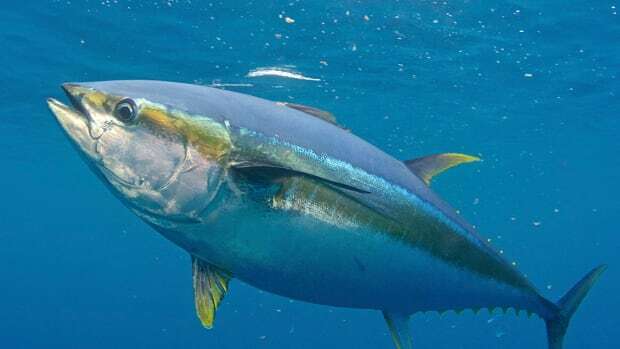 Marlin and giant tuna were routinely “apple-cored” by sharks off Bimini until tackle and techniques evolved to where large fish could be brought to the boat faster. In 1934, aboard Pilar, Hemingway hosted two researchers from the Academy of Natural Sciences of Drexel University in Philadelphia to study Atlantic billfish off Cuba. Academy managing director Charles Cadwalader and head ichthyologist Henry W. Fowler, the academy’s first full-time fish curator, spent six weeks fishing out of Cojimar — Pilar’s home port — so the researchers could experience firsthand the observations Hemingway had made. Hemingway kept meticulous logs containing information about tides, moon phases, bait, current and water conditions, the way fish ate and jumped, their stomach contents and more. He and Fowler corresponded regularly, and Hemingway became a member of the research team, shipping fins, gill rakers and stomach contents, along with notations and photographs. The result was Fowler’s crowning achievement, A Catalog of World Fishes, a four-volume work to which Hemingway was a contributor. Hemingway’s capture and documentation of a Mediterranean spearfish led Fowler to verify its existence in the western Atlantic. 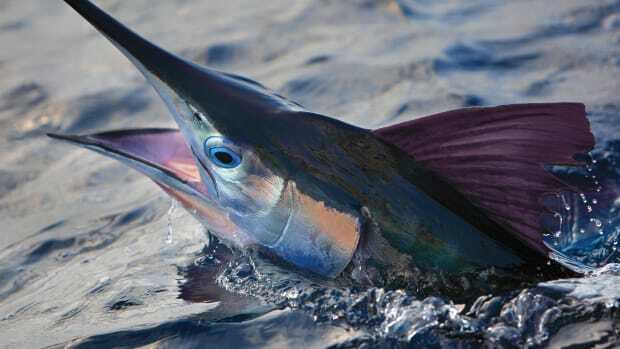 In the “Marlin off Cuba” chapter of American Big Game Fishing,Hemingway suggests that marlin are not a single but rather several subspecies of fish. Many are unaware of Hemingway’s interest in science. 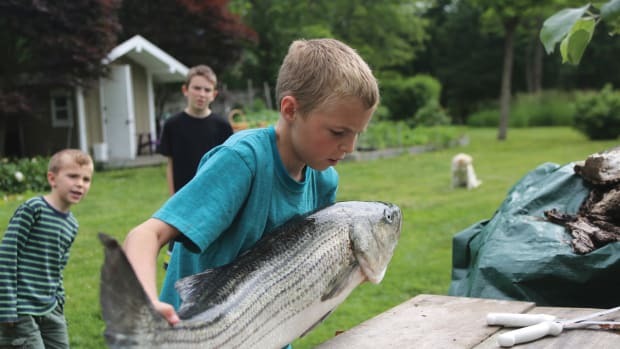 “We think of him as a sport fisherman, but he actually contributed a lot to the study of marine fishes by working with the Academy of Natural Sciences,” Peck says. Working with Fowler, Hemingway produced numerous fish that had never been categorized. In appreciation for his work, Fowler named the spinycheek scorpionfish for the author — Neomerinthe hemingway. Arthur Kovalovsky with his big creations. 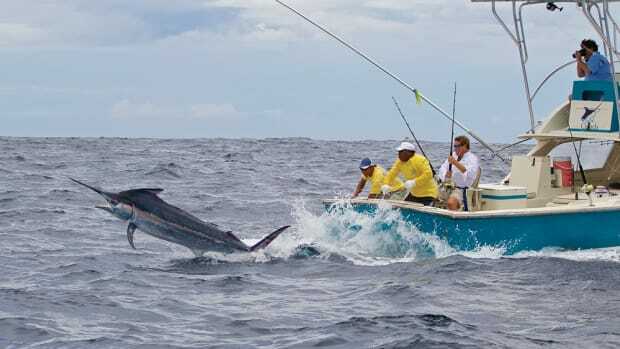 The 1930s arrived just as giant bluefin tuna and marlin were discovered migrating off Bimini, a short boat ride away from Miami, then considered the angling capital of the world. Out of failure came innovation in equipment and tactics designed for the fish roaming these waters. Miami tackle salesman Frank O’Brien glued together five strips of wood, each selected for its strong, complementary properties. 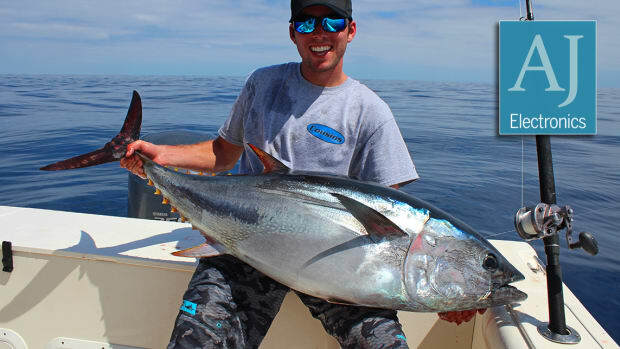 The result: Tycoon Tackle and its Bimini King big-game rod. It was a game-changer, with one estimate at the time saying that 90 percent of all world-record big-game fish were caught on Tycoon Tackle. Drawing on his experience as an auto mechanic, Miamian Fred Grieten applied the principle of the automobile drum brake to his 15/0 big-game reels. 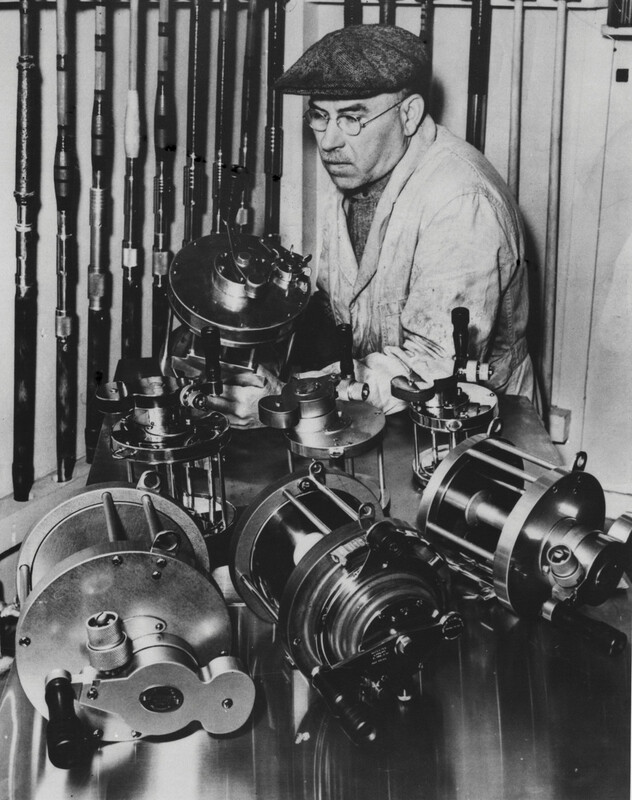 He created the Fin-Nor reel, which captured scores of big-game world records. 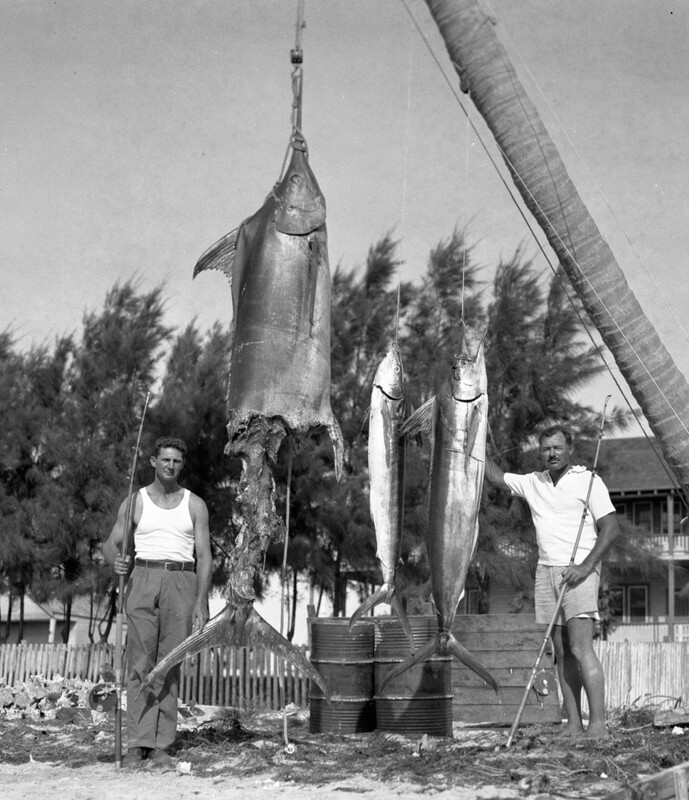 Roswell Lee, in 1937, was also building his own large tuna reel in Miami. More important, Lee came up with the roller tip, roller guides and the torpedo reel handle grip for big-game rods. Lee then quit making reels to build rod holders, fighting chairs and outriggers, the latter a new invention developed by legendary Miami fishing skipper Tommy Gifford. As a testament to their quality, Tycoon Tackle, Fin-Nor and Lee’s Tackle are all still in business. As the 1940s dawned, big-game anglers were finally on a level playing field with the fish they were hooking — then World War II marked the end of all production deemed non-essential, including fishing tackle. So ended what some believe was the Golden Age of big-game fishing.